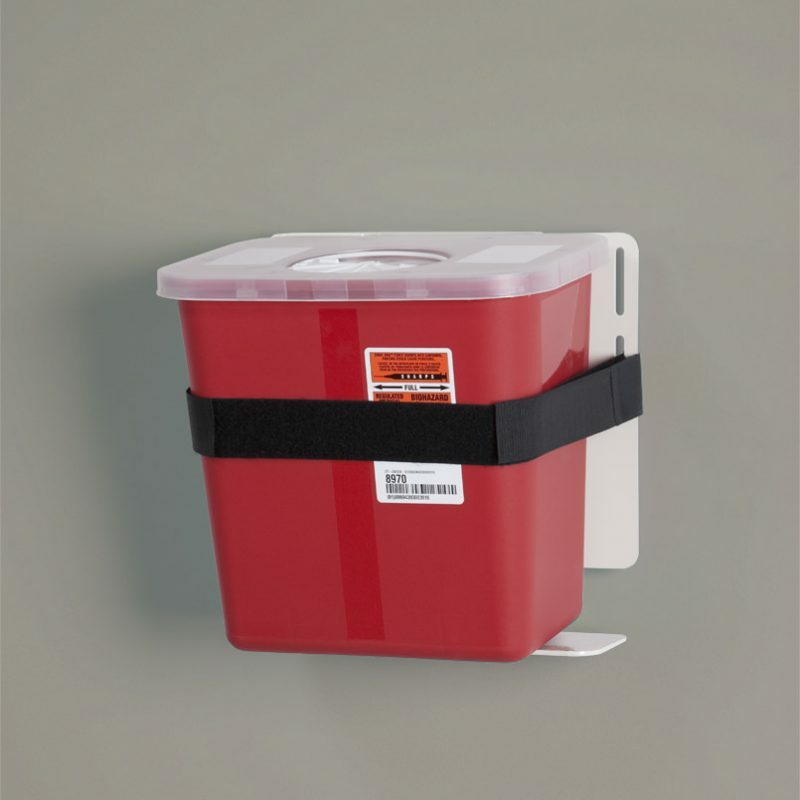 Create a wall-mounted waste station with this Wall Mount Universal Container Holder, which keeps multiple sizes and styles of medical waste, chemotherapy and sharps containers safe, secure and off the floor. Container holder is designed with a sturdy metal bracket and a Velcro® strap. It holds any sharps, medical or chemotherapy waste container or basket between 5 quarts to 8 gallons. Easy to clean and disinfect using standard wipe methods. The strap can be cleaned by soaking in a low-level disinfectant and air drying. No tools are required to adjust the strap to fit different container sizes.